Make your entrance Safe from damage and injury! It's better to be safe than sorry, make your entrance safe from destruction and injury by installing Safety Beams. Safety Beams also know as Photo Eyes or Light Beams and are most advanced device, that helps to prevent destruction or injury from a closing Gate. An unseen Electronic beam expands across the Gate at its installation point. It sounds a loud alarm when someone, a person or object, passes through its path. It helps to level up security at restricted area and alerts you when someone enters or leaves the area. Installing Safety Beams with any type of Automatic Gates, make entry more safe and protected. We at Genius Designs, have been installing Safety Beams of various kinds and types for our residential and commercial customers in the Texas region. We are #1 choice among them when it comes to install, safe and secure Automatic Gates with Safety Beams. Our exceptional knowledge, backed by 24 years of long experience, helped us win the trust of hundreds of customers in our area. No matter what Gate Opener or Operator you have, we can easily install Safety Beams with it and within no time. Wondering, how Safety Beam Works? 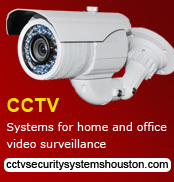 The working of Safety Beam or Motion detector is very simple. An infrared beam transmits from one end to the other, it detects the motion of an object that passes through its path. When someone, whether person, animal or an object crosses, the beam got broken and detected by the sensors of installed Safety Beam. As a result the Gate/Door stops closing or reverse depending on the settings of entrance systems. Indeed, it costs extra, but is full worth of money. By stopping Automatic Gate from closing on any person or object, it not only saves lives, but also the vehicle from sustaining a lot of damage. Most trusted Safety Beam technicians! Considering installing Safety Beams at your entrance system? Get in touch with a team of most experienced and most trusted Safety Beam technicians at Genius Designs. Since 1990, we have installed Safety Beams of various kinds and types along with Automatic Gate Systems in Houston and nearby areas within the Texas region. Whether you have Automatic Slide Gate, Swing Gate, Barrier Gate, Driveway Gate or any other Path or area that you want to restrict, we can install infrared Safety Beams, easily, within no time and at very affordable price. We believe in "No job is too Big or too small". We value our customers and their satisfaction is our main motto. To achieve the same, we always provide them our exceptional services. Hire us for your job, and be relaxed. We are complete peace of mind. You will get, what we committed you to deliver. We are just a phone call or email away.